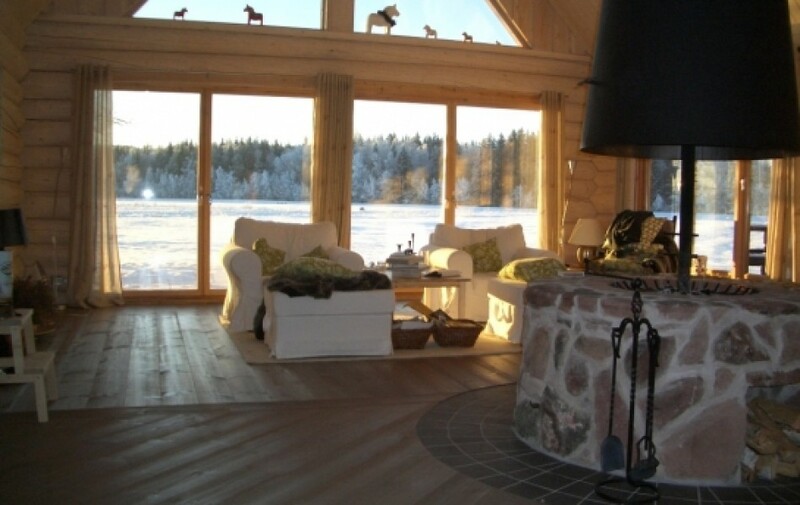 The house is a custombuild loghouse, the carpenters are VikaVimo from Mora and the material is from Kättbo near Mora. 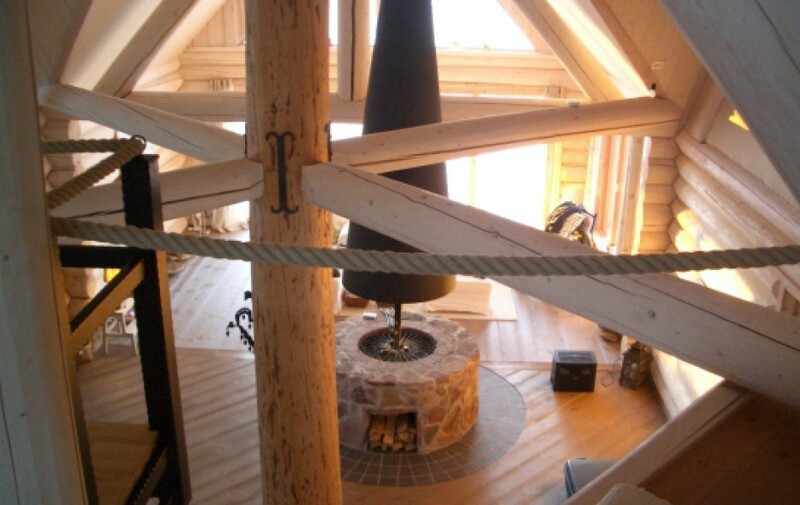 On hte groundfloor Yoz find a big livin-kitchen area with a big tree and open fireplace in the middle. 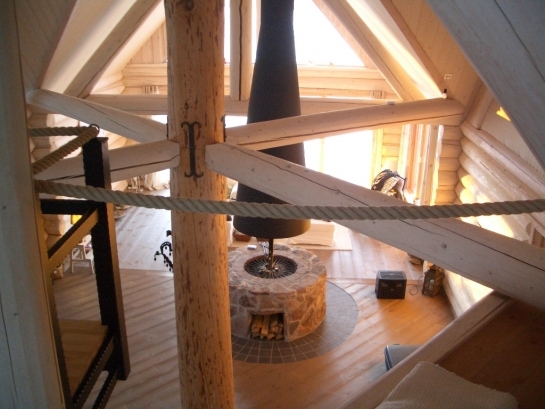 It has further one masterbedroom, bathroom with steamshower (reverence to swedish bygglag), guestloilet + laundryroom. 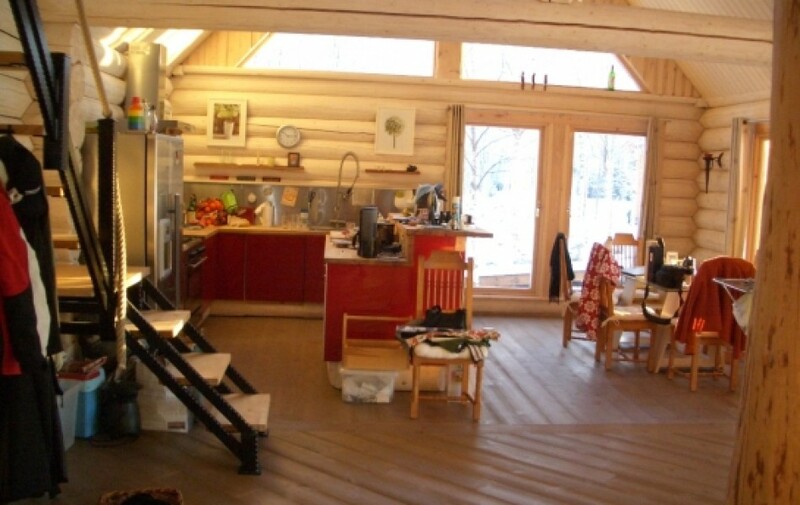 A little loft serves as combined office/guestroom. 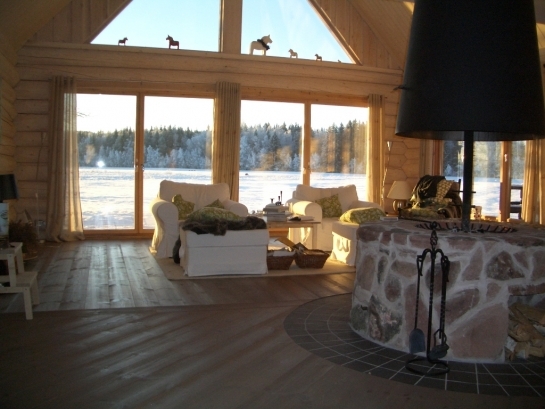 Wrappen around the house is a large altan and porch. 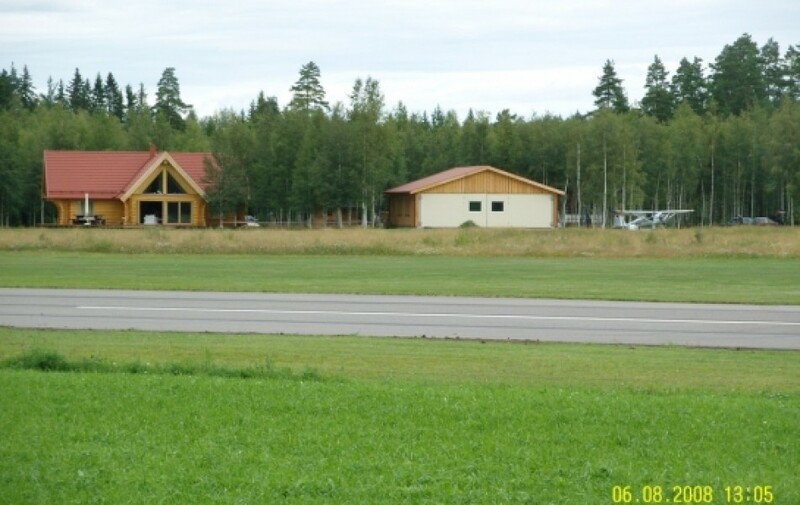 Further on the plot is our first home – a classical friggebod- that serves as gueststuga. 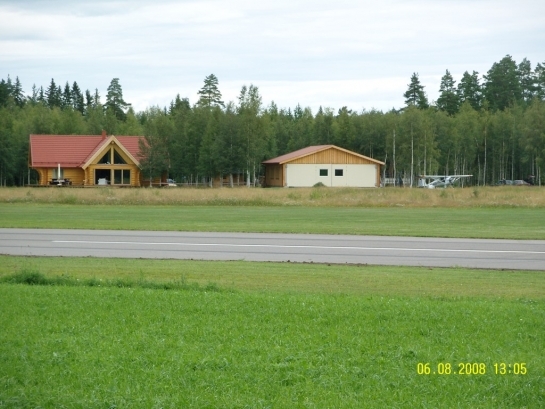 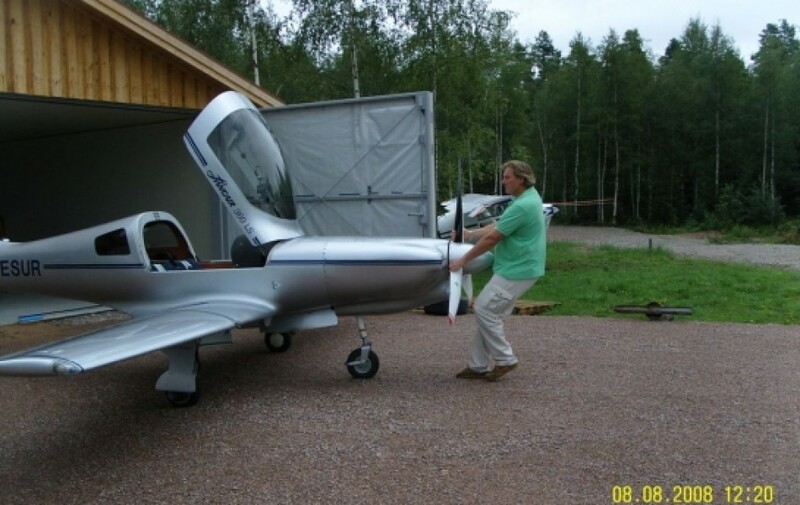 The hangar is from Tomukuhus and built 2007. 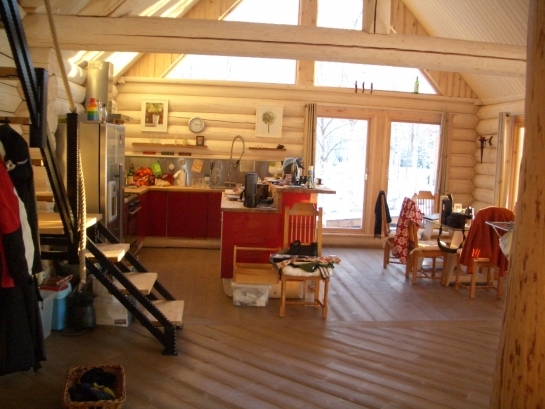 It has 144 sqm and a heated floor. 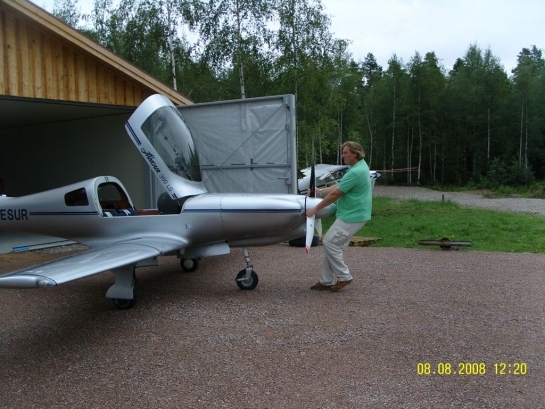 Doors are custombuilt by Hans Helldén from Insjön.